AZMOL Leader Plus 5W-40 – universal multigrade engine oil with a low coefficient of friction designed for use in high performance gasoline and diesel engines with direct injection passenger cars and light trucks, including turbo, without diesel particulate filters (DPF). 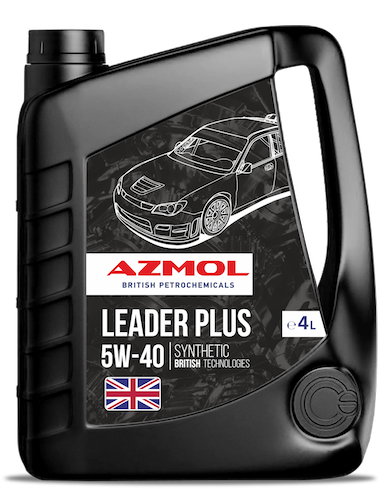 AZMOL Leader Plus 5W-40 – fully synthetic engine oil. The combination of innovative base oils-based on synthesis technology and the latest additive technology guarantees a reduction in consumption of oil and fuel and ensures fast lubrication of the engine in accordance with the standards ACEA A3/B3/B4. the strength of the oil film at high operating temperatures, while reducing friction to a minimum.